"Adventure riding requires a new approach to routes, gear, and in-the-moment problem solving. Nothing about this type riding is off-the-shelf." 1. What is the goal/mission of Timber and Stone? I’m an accidental activist who has been on the sidelines for years. I’ve decided to break my inertia and get engaged personally, with my focus on preserving access to public land. At TheTimberandStone, I use off-road cycling as a means to invest time, share stories, and shine the spotlight on our public landscapes. 2. What is your backstory? It all began with a 1978 gloss-black Schwinn Spitfire beach-cruiser with whitewall tires and GrabOn bar grips. 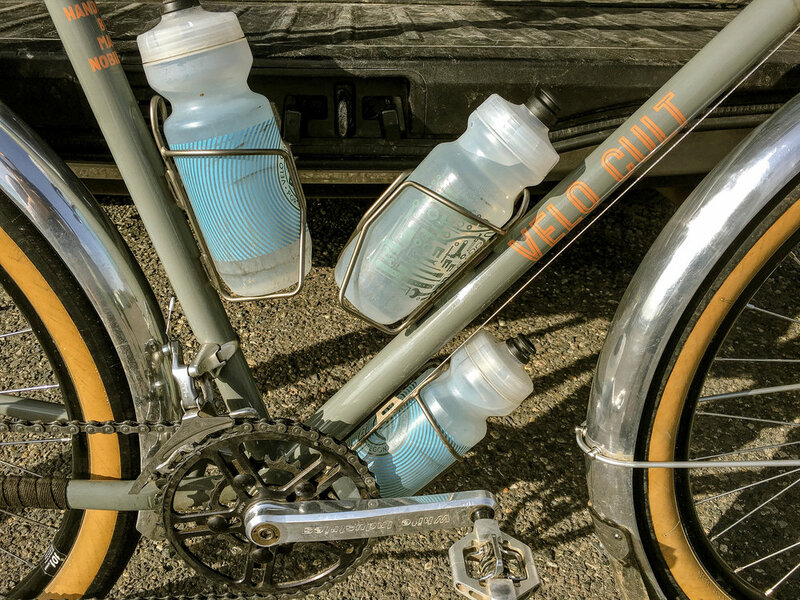 A Christmas gift in my teens, this crude machine enabled many off-road adventures high in the hills of San Luis Obispo in the early Eighties, and ignited my love for riding dirt. It wasn’t long until a true MTB replaced the Schwinn, and the MTB, replaced by a road bike. Years of pavement riding later, I realized that I preferred riding dirt. Unpaved roads and trails tend to be found in more remote areas, where the surface is rougher and less predictable, the views more inspiring, and where sharing the road is less common. This type of riding also fuels me as a designer and a creative person. Adventure riding requires a new approach to routes, gear, and in-the-moment problem solving. Nothing about this type riding is off-the-shelf. There are no one-hundred-percent right answers either. From the equipment to the routes; there is always something new to try—something new to discover. This fuels me. 3. 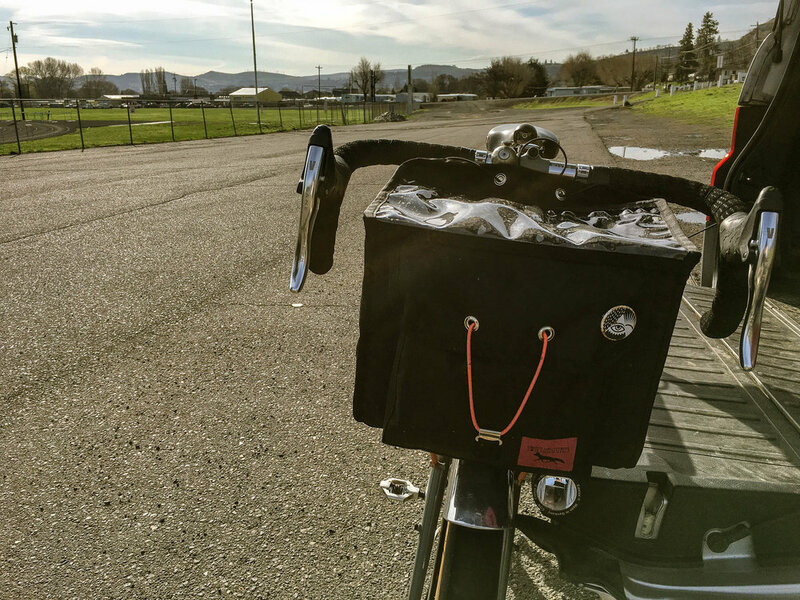 What is your favorite cycling route in the NW and why? My favorite area is the Western Willamette Valley from the Gaston/Yamhill area down into the Dallas/Corvallis area. The network of dirt roads is seemingly endless, offering everything from Cadillac gravel, B-roads and even some single track. I enjoy the openness of the routes—the feeling of not being so captured in the trees. We’ve done some night riding in this area too, which adds another dimension to the experience! 4. What is the go-to bike in your personal lineup and why? For the type of riding I do, versatility is number one. Versatility in responsiveness, in comfortably handling rough surfaces, and in carrying light loads low on the front end. With some overlap, my bikes are designed to solve these needs—with the emphasis slightly different on each. If I were to pick one bike, it would be my Velo Cult/Mark Nobilette Allroad bike. Its big volume tires, flexible tubing, and low trail front end allow it to be quite the multi-tool in my small quiver of bikes. 5. What does the next year look like for Timber and Stone? For me, it is all about meeting new people, experiencing new places, and acquiring new skills. I’m plugging more into the Unpaved Riding community and I’m enjoying the camaraderie there. I’m also intentionally scheduling time to ride areas I wouldn't normally ride. As the snow starts to melt, I have a few bike packing routes in Southern Oregon I’d like to explore. For something new, I also want to do some fly fishing this year. I’m inspired by the potential of mixing fishing with cycling, and I’m looking forward to planning routes around this purpose. In short, I’m out here to slow down, to navigate, chat a while, wade in the river, or—especially after this Portland winter—just hop over a blown-down tree and keep rolling!